Send a Happy Birthday card with a difference! 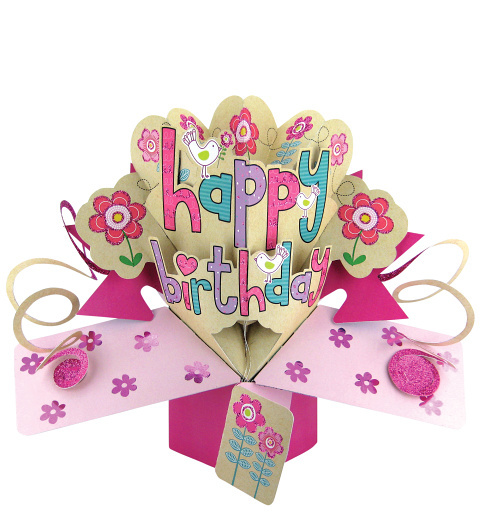 These stunning 3d cards are sure to stand out on the birthday persons mantle piece. Whether you send it on its own or along with flowers or a gift, you can be sure that this card will make her day even better!